A unique chance to obtain reinforcements with an eye to the future. We rang the bells of the national and international toppers in search of something from the very best of their colony. A pigeon out their top couple, out their Ace pigeon, out their national winner ... One for one originating from ‘world toppers’ from the previous sport season, 2009. The month of May has made its entrance, the 2010 sport season is now going at full speed. The middle distance men have already brought their best horses from the stables, the "small middle distance" is in full swing, and the national Bourges on the 22nd of May is about to take place. The long distance men are also busy preparing and are starting to feel the "butterflies" in the stomach for the last weekend of May, the first national long distance confrontation from Brive being on the calendar. Time then to start placing all our attention on the race happenings. The start of the "national racing calendar" on a sporting level, invariably converges with the end of the auction season by PiPa, which is tradionally closed with the PiPa Support Auction. An auction season 2009-2010 which we can look back on once again with great satisfaction: the 5th edition of the "Jewels of the Sky " sheared high tops yet again, there were the richly successful room auctions of the "international Barcelona winners", the Van Houten family, and of course the "whopper of the century" with the public auction Erik Limbourg where several existing records were simply referred to the rubbish bin, not in the least that of "most expensive pigeon ever sold in a public auction", with the wondrous "Eagle Eye"! Other auctions were also a great success, whereby we not only strive to sell the "best pigeons", but also for "exclusivity". We would like to take this opportunity to say a word of thanks to the sellers for the exceptional quality of the pigeons which they have offered to their fellow pigeon fanciers worldwide via PiPa, and also to all the buyers for their trust in our services and in the pigeons offered. And we end in style, with the "PiPa Support Auction", whereby we rang the bells of the national and international toppers in search of something from the very best present in their colony. Out their top couple, out their Ace pigeon, out their “national winner”, out their "super crack" or "super breeder". In short a collection of top talent, of absolute top class, all originating from world toppers from the previous sport season 2009. The gates to the "Hall of Fame" were set wide open in one great swoop. A unique chance to obtain reinforcements with an eye to the future. Don’t forget sport friends: use your brains! Try to be ahead of your opponents. This doesn’t only apply to the races during the racing season, but just as importantly to obtaining reinforcements for the expansion of your own colony! This "PiPa Support Auction" is in this respect not only a unique opportunity, it is also the very last chance this auction season 2009-2010! A chance you cannot let pass. So as you know, PiPa always donates a portion of the profits from this "Support Auction" to a charity. Last year we decided to reserve an amount for the promotion of our pigeon sport. You will already have read on our website that we have engaged in the project "PPN", and have concluded a sponsorship agreement with the "Stichting Promotie Postduivensport Nederland" for 3 years. This to sponsor the building of 5 pigeon lofts annually, which will be made available to the youth through the PPN in various schools and children’s farms. 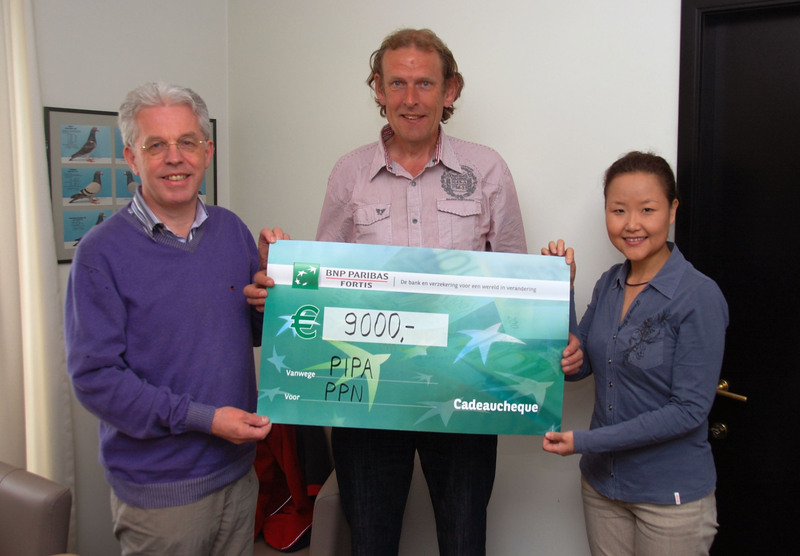 The first instalment of 9.000 euro’s has already been transferred to the "Stichting PPN"! By buying a pigeon from the "PiPa Support Auction" you are indirectly contributing towards the promotion of our pigeon sport, for the future of our hobby! Hereafter the door to the "online auctions" will be irrevocably closed until August, and we will aim our arrows to the sport season 2010. 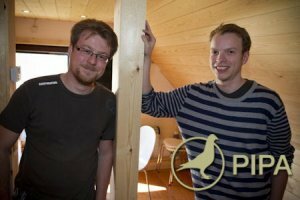 Our PiPa editorial team is standing ready for you again with reports over the "national winners" and the shiners of the week, we are going to go in search of the "best pigeons" and the "best fanciers" from the 2010 competitions by "digging" through the results. New here is the module for reporting in the national races, which has been given a new look by our IT-people, Erwin & Kristof, as a result of which the course of the reports can be followed "live" on a map, and the 10 pigeons with the highest final velocity, according to the reports, can be viewed. 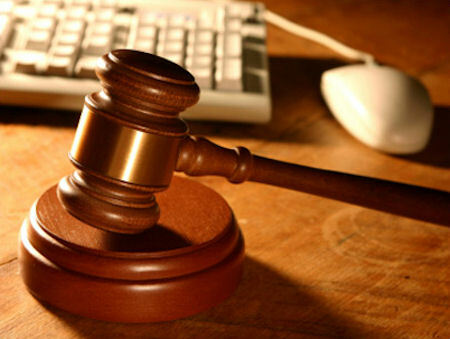 In any case it looks spectacular, that was the impression of the people who were allowed to follow the "test case"! We are going to test your patience a little longer until the 22 of May or the start sign for the national racing calendar with "Bourges I"! As you can see, the people from PiPa haven’t just been sitting still during the intermittent season. Behind the seasons they are working hard on the further expansion of the website so that we can serve you better. In other words we are ready, to keep you "up to date" with the news "hot off the press" in our current pigeon sport! You will soon see! PiPa would like to wish you much reading and watching pleasure and would also like to thank you for the trust that you have placed in us! The support auction runs until Sunday the 23rd of May. You can follow the auction on the page "Pigeons for sale". Félicitations du bien beau travail !